Olimpia Milano has acquired the services of Andrew Goudelock for the next two seasons. Drew Goudelocked has signed a two-year contract with Olimpia Milano, according to Eurohoops sources. 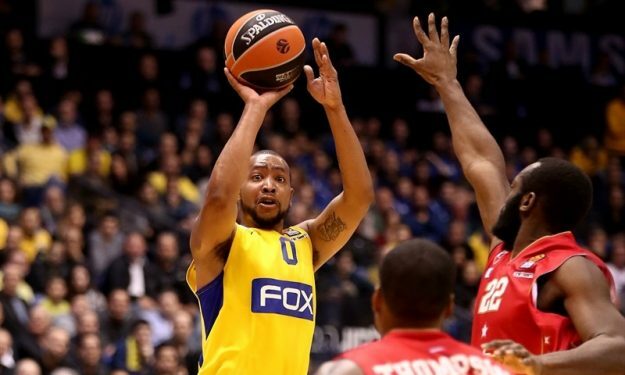 The American combo guard thus leaves Maccabi Tel Aviv, that didn’t exercise the option to keep him for the next season, and will join the “Red Shoes” until 2019. While there was a concrete interest from other EuroLeague teams, including Panathinaikos, and also clubs from China, Goudelock preferred to continue with Olimpia Milano. The 28-year-old player completed the second EuroLeague season of his career, averaging 17.3 (54.5% two-pointers, 45% from downtown) points, 2.9 assists and 2.6 rebounds per game. He’s considered one of the elite bucket makers in the continent.